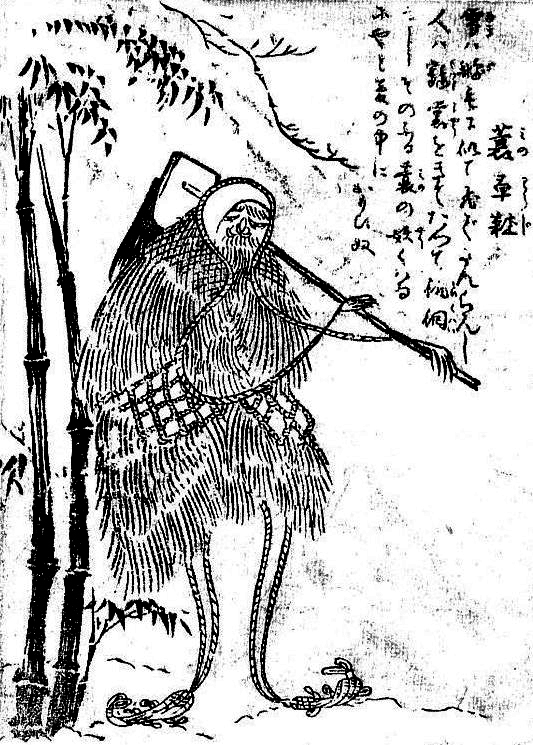 Description: Animated farm tools being carried around by an old fashion Mino—a Japanese straw coat. The thing thinks and acts like a rural farmer. Kind of like all the farmers’ sense and nonsense got absorbed by his stuff. Where To Find It: Farms and tool sheds. Danger Level: It’s carrying a hoe. Hoes have sharp edges. Keep away! Mab’s Eye View: These minowaraji are very, very touchy. Generally, they are benign to human beings, but hurt their feelings and, whoa Nellie!, do they go for you! I had—you’d call it a cousin—once who accidentally insulted one by calling it a Kosode no Te. Thing swung his hoe and separated my—you’d call it a cousin’s head from his body. Luckily, his head being attached to his body was optional. But that would not be the case for you! 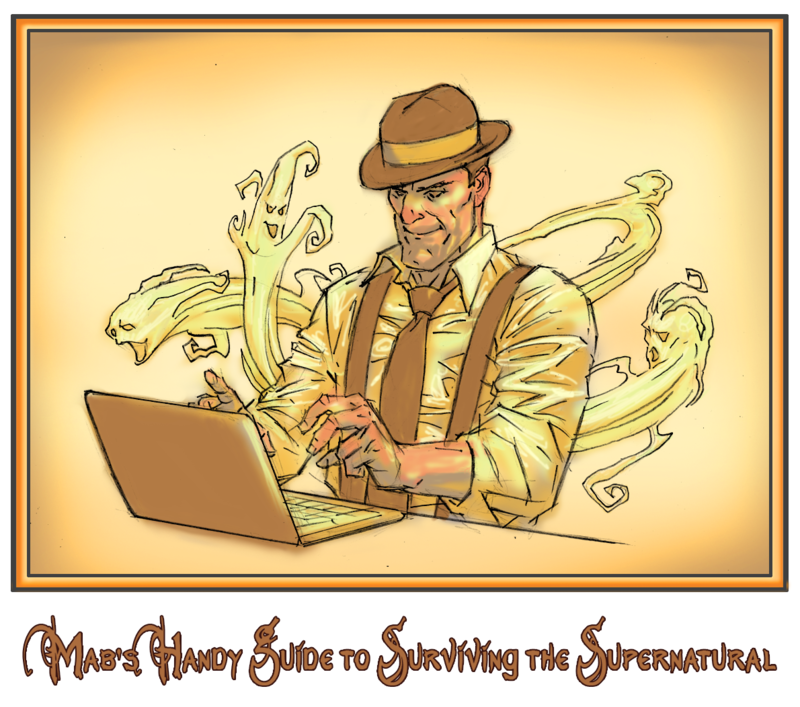 April 17, 2014 in Mab's Handy Guide to Surviving the Supernatural.